Manslaughter Charges In Denver, CO | Mastro, Barnes & Stazzone P.C. Murder Defense in Denver”Manslaughter” is a serious felony offense under Colorado Law. Manslaughter carries a potential penalty of a sentence to the Colorado Department of Corrections. The crime of Manslaughter may be prosecuted by recklessly causing the death of another person. Choose a criminal defense attorney who has experience defending this serious charge. At Mastro, Barnes & Stazzone we help protect our client’s rights. If you or a loved one has been charged, we can help. The law firm of Mastro, Barnes & Stazzone has experience handling cases involving Murder. 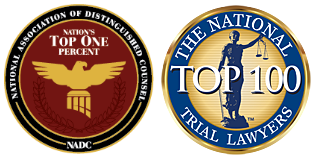 When choosing a criminal defense attorney who handles serious felony offenses like Murder, make sure that attorney knows the Judge, the District Attorney and strategies which are necessary to effectively represent you or your loved one. Offenses involving Murder are felony offenses and are “Crimes of Violence.” In Colorado, “Crimes of Violence” trigger mandatory sentences upon conviction.